What is a Project Plan Template? Home » Project management blog » What is a Project Plan Template? Projects are complex, some more than others. The importance of project planning cannot be ignored if you hope to complete your project and reach its objectives successfully. There are many ways to plan a project and it is an integral part of project management. In this article, you will learn about what project planning is, what a project management plan template is and how to use a free project plan template with Sinnaps – Project Management Online. Learn how to optimise your time and effectively plan your project by reading below! Why is Simple Project Plan Template Useful? A project is something carried out with the intent of completing it on time, within budget and reaching its desired goal. A project plan is essential for this. It can be looked at as a formal project plan document that maps out the project and guides everyone along its route. It is the most important part of project management. A Gantt Chart, traditionally created by Henry Gantt, is the most popular form of project planning that displays all project activities along a timeline highlighting the critical path, dependencies and duration times of each task. It serves as a good project management plan example. Documenting and communicating the project as a whole to stakeholders and clients to ensure that expectations are being met. As control and monitoring system of project progress. Forecasting any potential bottlenecks or risks so that they can be effectively managed. Why? : Why is this project happening? What is its goal and desired outcome? What? : What is going to be involved in completing this project? What will the tasks and activities be? What are the expected deliverables? Who? : Who is involved in the project and what are their responsibilities? How can they be organised? When? : When is this project going to be successfully completed? Finance: Scheduling and planning positively affect the overall finances of a project. Being able to identify any time constraints or issues before they arise allows project managers to allocate resources effectively. This is particularly important when projects are complex, and the resources required are highly specialised and should avoid misallocation. The shorter the completion time of a project, the higher the costs usually. This is due to the need for expedited resources in some cases to complete project in a faster timeframe. Project scheduling and planning allows for realistic forecasting and estimation and prevent last-minute surprise orders that significantly increase costs. Documentation: Planning a project usually means creating or using a chart template, most commonly a Gantt Chart. It lists all of the tasks, activities, milestones, resources, dependencies and time needed to complete the project successfully and serves as a roadmap for team members. This project management plan in itself serves as vital documentation that can and should be shared with clients and any stakeholders, which will allow for added input and support and as motivation to your team as they feel directly involved. Management: Regular meeting and reports should be held and created to keep track of project progress and to make sure that everyone involved is on the same page. Scheduling and planning these meetings and reports makes them more effective and helps to avoid misunderstandings or issues. Workflow and the project process will improve as a result of the effective management that project scheduling and planning bring. Quality: No one wants a project completed as fast as possible as if no one cared about the quality of the outcome. A good project is a project that brings about quality results. Project planning allows for each task to be completed in a quality manner. Planning ensures that quality meets expectations along every step of the way. Quality controls can be established and followed by everyone involved. The ability to manage risks through planning further adds to the project’s quality and forecasting allows for any potential opportunities to be exploited. A project management plan is a vital part of any project. Some may think that getting straight into a project is the best option in terms of saving time, however taking the time to properly plan your project will help to avoid issues and potential failure in the future. This will undoubtedly save the team and client money, time and resources. For this unavoidable task of project management, an adequate project plan template that can keep up is needed. A project plan template serves as a great example of a simple project plan for anyone that feels the task is very complicated. There are many project implementation plan templates available. Sinnaps offers templates created by other users and offers you the opportunity to create and share your own. These templates are useful because they can be exported to Excel and edited to suit your project’s needs. They range from the simplest of templates to more complex variations. In the form of Sinnaps’ Gantt-flow, your project will focus on achieving your project goals and objectives. An updated version of the traditional Gantt Chart will allow you to effectively plan your project and to report progress, changes and modifications in an efficient manner. It serves as a visualisation of the whole project and how it will run. It is important to share and communicate this with any clients and stakeholders so that they feel in the loop and are updated. Learning from others’ experience: Some project plan templates available are templates created and made by other project managers. This is the case with a program plan template created with Sinnaps project management software that allows for the project management community to create and share their versions. 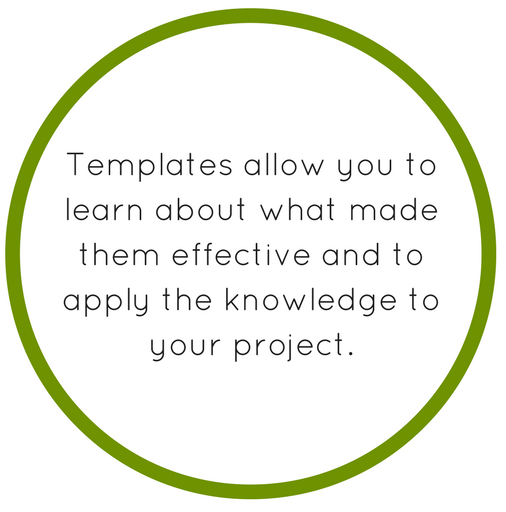 If the projects have been successful, using the templates will allow you to learn about what made them effective and to apply the knowledge to your project. Quality: Further from the previous point, the quality of your projects will increase. Through seeing someone else’s example and applying the model and structure to your own specific project you will see how the quality of your work out-comes is increased. Consistency: You may find that you like a particular project plan template. It may suit your types of projects perfectly. Having a template ready for you to use and apply allows for consistent positive results that will make not only you and your project team happy, but also your client if one is involved. Time-Saving: The time-saving capabilities of project management templates are key. A project plan is usually the longest part of the project to create and usually the format tends to repeat itself. Instead of having to create and recreate every time from scratch, a project management plan template is ready for you to open and get started with not wasting time writing out headers and designing and redesigning a format. A project plan starts with creating a new project plan document or using a project plan template. A free project plan template can be found in Sinnaps, the cloud-based project management tool and can be exported and edited in excel to suit the specific requirements of your project. A title page or cover page includes the project’s name, project manager, any approval signatures needed and when the project was approved. The tasks that the team will need to complete are identified. A template provides a basic format in which the activities, task durations and resources can be specified. The activities section is where the tasks that make up the project are listed out. Here, the milestones of the project can be identified, and this allows for the creation of a roadmap for both managers and teams that will save them time and stress later on in the project. The work breakdown structure is made by defining the major and most dependant tasks, which are tasks that cannot begin until others have been completed. The potential risks associated with each of the tasks can be pinpointed and prepared for during this section which will significantly reduce the possibility of failure. This section is used to estimate how long each task will take and how long it should take in order to complete the project on time. The number of hours or days required to complete each task are listed and team members can consult the plan to see what is expected. The labour costs can also be estimated in this section which allows for anticipation and control over costs. As the project progresses, the project manager can update the plan if it turns out that more or less time is needed. Every project requires resources and these resources need to be planned for and monitored accordingly as they are not unlimited. It includes a list of people responsible for completing each task and their skills and experiences relevant to the work. Any third-party providers or suppliers are also accounted for in this section. Forecasting allows project managers to have adequate resources needed to complete the project successfully. This can also mean not having too many or too little resources. As is the case with the other sections, this section can be updated throughout the project to suit any changes or additions needed. Following a basic project plan format with the help of a project plan template helps with consistency and time-saving. These are two aspects essential to successful projects. The specification and forecasting capabilities of project planning are second to none and can be used at a later date for evaluation and comparison. Having a project plan template only accelerates these benefits for project teams and organisations in general. 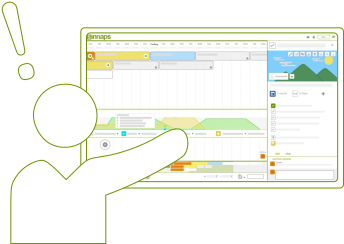 Creating a project plan template with Sinnaps couldn’t be easier! Not only can you create your own template and share it with the Sinnaps community, but you also have access to other Sinnaps users’ templates that they have created and shared. This allows you to broaden your horizons of project planning and seeing how others have approached the task. Each project template can be exported to excel and edited by you to customise it to your own specific project needs. This allows you to see a project plan sample before using it or even creating your own. Overall, the importance of project planning cannot be denied. As the saying goes: ‘Fail to prepare, prepare to fail.’ Project plan template further increase the benefits of project planning through their effective time-saving capabilities. Seeing how others have planned their previous successful projects or through even designing and saving your own project plan, you will see how this feature of project management software incrementally advantages your project and their running. 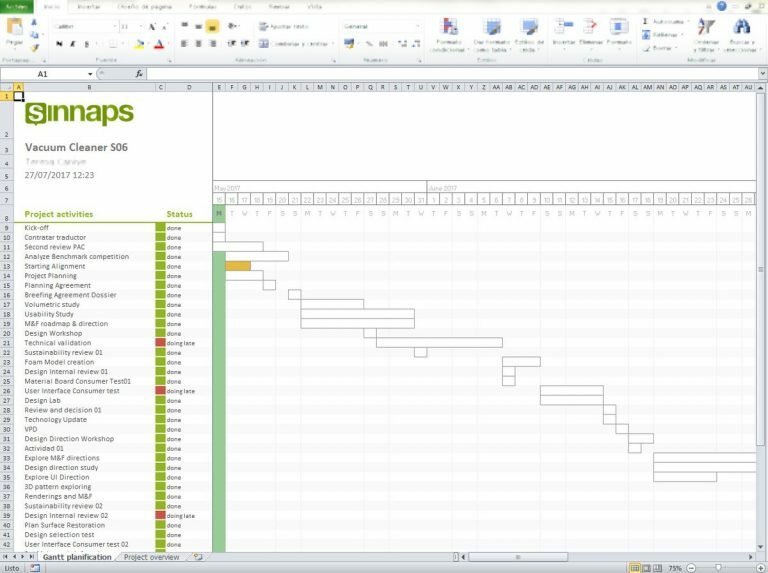 How to make a Gantt Chart in Sinnaps and export to Excel? Use your company email to connect with your team more easily. Sinnaps is an online project management tool. Try it for free for unlimited time !!! Use your company email to connect with your team easily.